Stechford Mouldings are a leading manufacturer of thermoset, thermoplastic and compression moulded plastic components. Operating in the West Midlands for over 80 years, we’re proud to have one of the largest selections of thermoset compression presses in the UK, and a comprehensive range of assembly and finishing equipment. 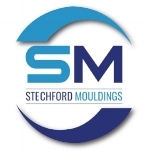 Stechford Mouldings is truly a ‘one-stop shop’ for plastic moulding expertise. Take advantage of our technical expertise and world-class tooling knowledge to achieve your desired results in any engineer polymer. Using the latest 3D modelling software, we will guide you through each process right from the initial conceptual stage with full tool design and mould flow analysis through to full scale production to ensure your desired outcome. True craftmanship isn’t just an empty statement, through the passion & expertise of our people Stechford Mouldings believe Quality is everything. We’re proud to bear the ISO 9001 accreditation for International Quality Management System. By continually maintaining and improving our high standards of manufacturing, processes and procedures, it shows we are committed to giving our customers a service they can rely on. We offer a vast range of post-moulding operations and processes, with extensive knowledge of what it takes for large, intricate or specialised parts to function as they are were designed to. We oversee all components and products from conception to despatch, closely tracking their journey through our assembly and finishing departments, offering you a ‘second to none’ moulding service. Stechford Mouldings was originally founded in 1964, however the original foundations of the company can be dated back to the very early 20th Century, producing ‘Compression Moulded Bakelite’. Follow ‘Our Journey’ and find out more about our continued success, growth and multi million pound investment to transform a disused warehouse into a state-of-the-art production facility. Stechford Mouldings & Quality Plastic Injection Moulding Products.